It sure has been a busy year hasn't it? I can't believe everything that has happened in the last year. others seem like they were just yesterday. So lets get started. One of my shining moments was this little beauty up above. She was a rescue project done for Fenner Nature Center. 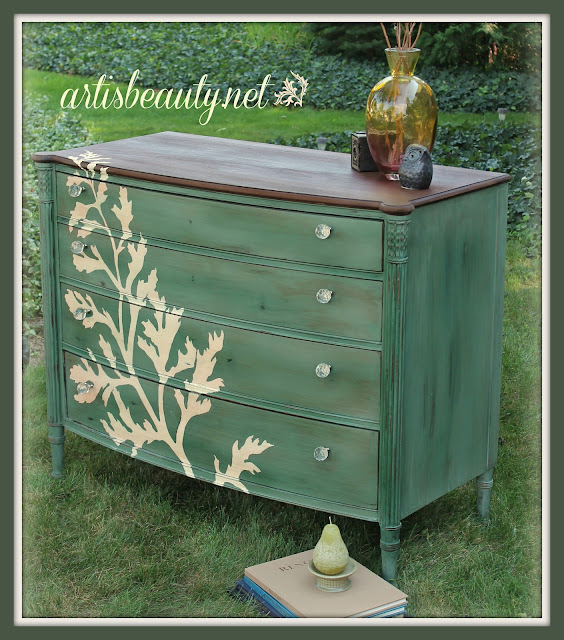 free dresser that I transformed with some paint and some Krink Paint pens. One of our Downs this year was something we experienced a lot this year...We lost too many good people and one of them was our 46 year old cousin. This painting was dedicated to her. You are SO talented; I just adore you and all the work you do! What an amazing year, so much to be proud of!! Great job Karin!! With all the wonderful things you do, I don't know how you can choose "The Best of"! But my favorite is the painting you did for your cousin. Absolutely stunning. I was moved by it the first time you posted it. You are beyond talented, you are an artist. You furniture and art work is so very pretty. My favorite is the painting of the yellow warbler. Simply beautiful! You are so talented! I love all your art! I love art with a story. Beautiful! My favorite is the potty shed! I'd love you to come link this up at my Best of 2012 Party. Such talent and wonderful stories. You inspire me. The kitchen is so beautiful! It all is just so breath taking, you do amazing job! You are so talented! I love your furniture pieces and your paintings are just amazing! I'm your newest follower! They are all so adorable. I wonder if you made a book about those creations? 2012 was a fabulous year for you!! 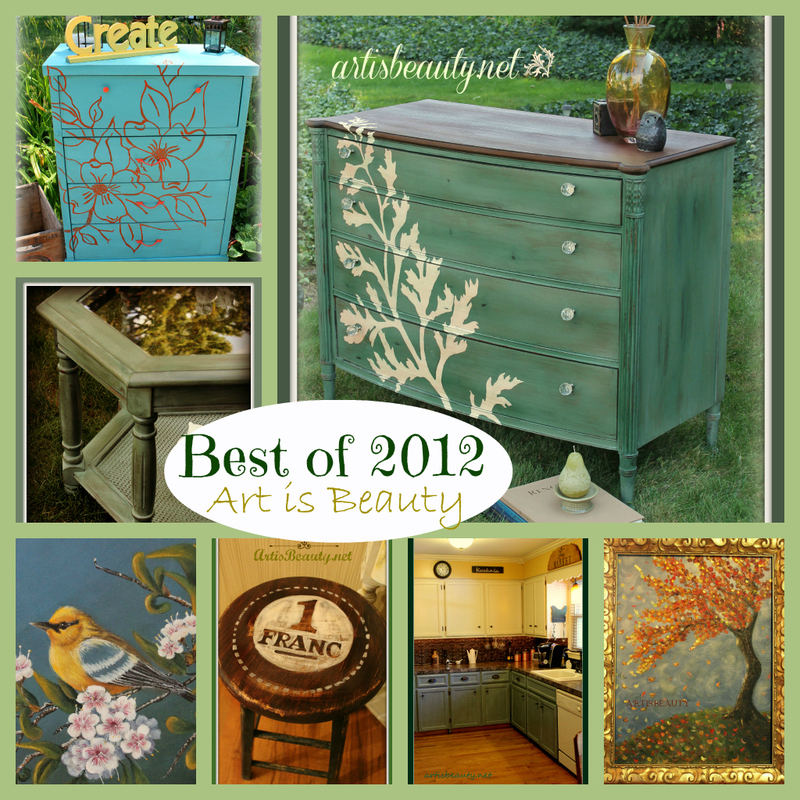 Can't wait to see the goodies you'll create in 2013!! !